Done! 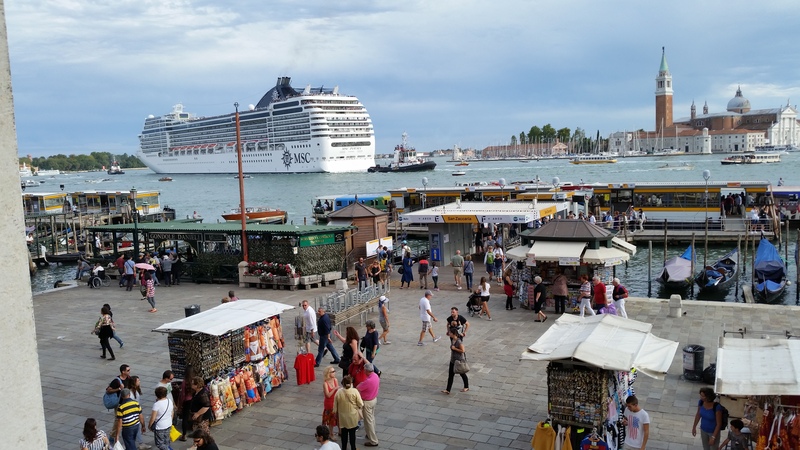 … This is quite a hard hitting blog…Interestingly, [my wife] and I were in both Dubrovnik and Venice and it was quite evident that Venice was in the midst of a massive plan of moving the cruise ships away from the city itself. I will be sending an e-mail voicing my objection to leaving the terminal where it is. Keep up the good work. … Already sent it in! I would make the case that carriages are not really tourism. They are equestrian activities, and thus should be under control of the US Equestrian Commission. Liz and I are wrapping up our anniversary trip which included a stop in Venice for a few days, departing back to Charleston tomorrow. During our visit, the gridlocked masses grouped in and around points of “cruise ship” embarkation reminded us of the possible future Charleston will likely face if we are not careful. Sitting in our hotel room this afternoon, we were shocked by a 10 story ship completely packed with thousands of tourists floating by our hotel window “taking a photo op.” See the second and third photos (posted below). This massive ship did two laps around the lagoon so both sides of the vessel could view Venice before setting sail to another port. 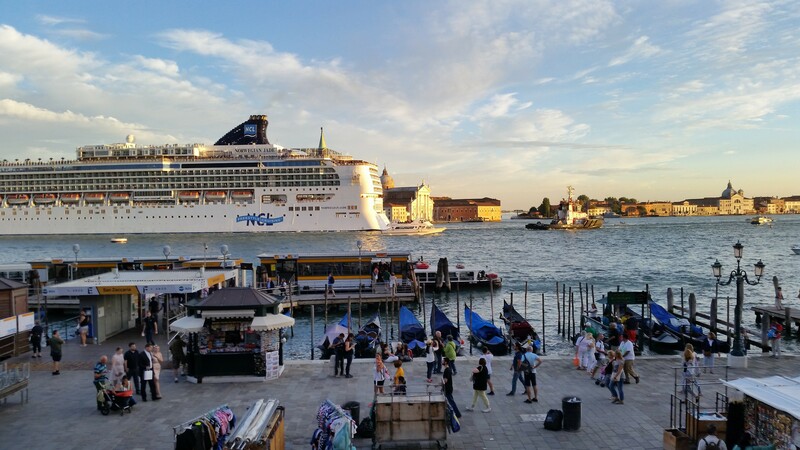 Venice is very much designed on a human scale, like Charleston. The sheer size of the ship was stunning. Once here, you realize the need to completely avoid areas where the ship tourists are released at cretain times of the day, much like a tidal wave of humans covering every square inch of free space. After my third day here I started thinking what if they had a few paved streets and then tried to imagine cars and carriages in the mix? …same ship here and below. Tried to get the buildings in the shot to show scale. Thank you all for your comments on Thursday’s blog. 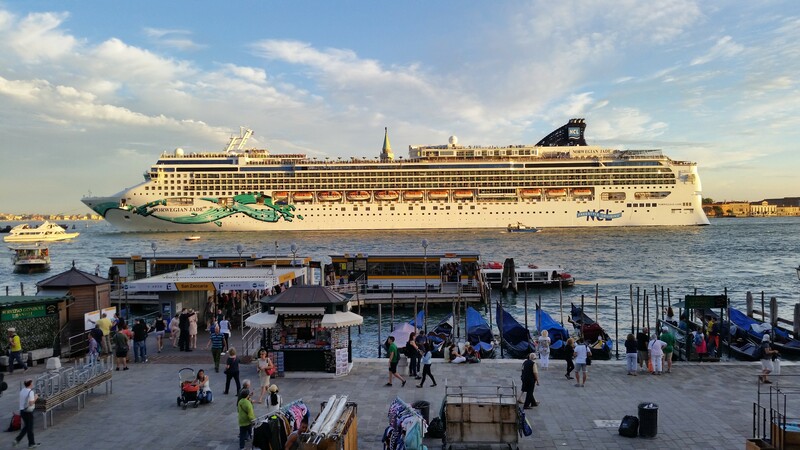 Note that the two pictures just above are of the Norwegian “Jade,” a 2400-passenger ship that’s smaller than many other ships that visit Venice. The top picture appears to be that of the larger MSC “Poesia,” a 16-deck, 3,000-passenger ship. Please note that even the SPA’s voluntary limits permit ships up to 3,500 passengers, larger than either of these two ships, into Charleston.